Be Still a Minute...: It's My SITS Day! What is SITS? It's a group of 10,000 women bloggers supporting one another with lots and lots of comment love. And today I'm being featured. Yes, me!...Little ol' me! If this is your first time here, welcome and thank you so much for stopping by! I began this blog back in March of 2010, completely on a whim. I had no idea what I was doing or if anyone would ever really read my words but I just kept hearing a whisper from God telling me to share my story of loss, battle with grief, journey in healing, and rebuilding of life. And although I do still blog about my experience with that horrible monster of grief from time to time, this has mostly become a place for me to just be me and to share the moments that make life beautiful, messy, frustrating, or just downright hilarious. as I dot dot dot every other line! I'm so sorry for your loss, but happy you were able to find comfort in blogging & eventually loving again. Hot dogs are so cute! I had one as a kid, although we had to give it up bc we couldn't take care of it, but it was still super cute, haha. Yay for poems! Love 'em & you're making me want to break out the old poem book & look at all the old ones I wrote in the past, LOL! Happy Day! The poems are very touching. Thank you for sharing so much with everyone. Happy SITS day! I love your little poem :) Definitely nothing wrong with some sentiment!! It's wonderful that you've found blogging - your attitude to life is fab. Happy SITS Day, Diane! So excited to be able to read all about your adventures! And there is absolutely nothing wrong with talking about your pups or crying over fish: I do the same about food. When the last bite of some delish dessert is gone, prepare yourself for the water works! ;-) Enjoy your day! Happy SITS Day! I loved your Adventures i Hundred Acre Wood... Wine drinking kids and deliverance. Sounds like the perfect getaway! Happy SITS day:) I'm so sorry for your loss. I'm glad Blogging has been helpful in processing and sharing your grief. Also I used to have Dachshunds! Love them! Awesome blog! I love your bucket list post! Happy SITS Day! Your blog is great! Things that grow organically are the best. Like your blogging adventure/outlet here. I applaud your attitude and ability to share and help others heal. I wanted to say hello. I know this has been some journey for you, and had to have been so difficult with children so young with the loss of their father. I'm so glad this blog has a happy ending though. 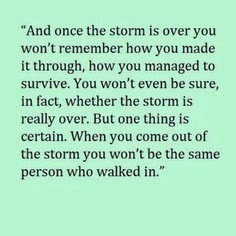 I know you have to be so much of a stronger person today from all that you've accomplished. I am sorry for your loss. I think it is wonderful, that you have found blogging to help. We all need something. Happy SITS day!!! I know you are gonna have a fun time. There is no such thing as too much dachshund. Happy SITS Day!!! Enjoy every moment. You have a beautiful family. Lovely blog - I too, suffered from a different kind of grief when my husband - my college sweetheart for 20 years - told me out of the blue that he was leaving me. He didn't die but it felt in many ways like a death. I have since remarried a wonderful man and have a 3rd child with him in addition to the 2 I had with my first husband. I have truly tried to take 1 day at a time since that awful day and was very moved by your posts on grief - thank you for participating in SITS so I could discover you! Hope you enjoy your SITS day. Writing can be such a therapeutic release. I'm glad that you were able to find it in your time of need. Being able to connect with others has been such a great thing for me. Love your writing, love your blog, love using ellipses...sometimes they're just necessary! Thanks for sharing your blog and your story(ies). You are truly amazing! Have a wonderful SITS day!! I can't wait for my internet to upload the next page! I'm hooked! I know I aint a SITS girl but I enjoy your Blog just the same. I'm sorry for your loss, but it is great that you were able to find something positive out of it. I'm sorry for your loss but I really enjoy your blog. So sorry for your loss. God is so good to give us ways to grieve in our own way and time. Yay! Was so happy to see it was your day! Oh what a beautiful poem! So happy to meet you through SITS. Enjoy your day and don't mind me snooping around your blog. Blogging is so adventurous. YAY, it's your feature day! Congrats and enjoy. Happy SITS day! I appreciate you sharing what you've learned on your journey, and I have no doubt you've been a blessing, as much as you have been blessed. Happy SITS day to you. I really enjoyed your site. So, I signed up to be a follower. Have fun being F/B today! Enjoy your day as Queen! I did not know that they were called ellipses. Thank you. You write a beautiful blog. Happy SITS Day. Enjoy the comment love today. Big congrats on your SITS Day! I love your design! And am looking forward to reading around. Congrats on your SITS day. Enjoy the limelight! Glad your life is on the upswing! I do love weiner dogs though, so I think I'll have to stick around!! I have a Jack Russell. He climbs our lemon tree to pick fruit flavored tennis balls. I'm so glad you were able to find the positive moments that help comfort the sad moments through your blog. A very happy SITS day to you! I don't think there are really any words to describe or comfort one who has endured what you have but I do want to say how incredibly strong and inspirational you are. I think it is great and inspiring that you took a tragic event and shared it with the world in hopes of healing. What a beautiful poem! Happy SITS Day! How very sweet you are. I'm so sorry to hear of your loss but am inspired by your contagious spirit. Can't wait to read more bout you and your adorable dogs! (I'm quite a dog lover myself). How cool to see that it was your SITS day! Happy Sits Day....My makeup eye makeup for the day is now down to my chin after reading your grief story. My brother was killed when I was 14 and I remember the "compassionate invasion of space" you recall. However, thinking about losing my husband makes me sick to my stomach and is the worst kind of loss (aside from a child) I could imagine. I'm so sorry. What a beautiful description of how we should praise God even in the storms of life. Jesus is my comfort, as well. I know I wouldn't be able to get through my life without his grace. I am so happy you know him, too! Happy SITS! Have a wonderful Christmas season! Hi, Diane. Happy SITS day! I love Dachshunds too. :) We had a black and brown mini growing up, and she was the cutest thing ever! Losses are a funny thing. They never completely leave you. You may 'move on' but it is never normal. It was always stunning to me that the world kept on turning when my life seemed to be on pause. I hope you've had a great SITS Day! ...and I absolutely approve of overusing "y'all"! Sorry for your loss, happy to hear that life continues, even though always altered. Good poem. So happy that you got your day!! Congrats! Congrats on your day! I read the touching tale of how you lost your first husband and I love your stark honesty. I also love how you felt Him in the bathroom, comforting you. That is so wonderful. You're such a strong woman and I wish you and your family many, many blessings. Congrats on your SITS day!! I've enjoyed browsing through your blog today! Happy SITS Day! You're a brave woman. ACK! I almost missed it because I don't post on Tuesdays and didn't have time to check my reader yesterday! Do I say "happy SITS day" or Congrats? Or both? Happy belated SITS day! I hope you met many new e-friends. You have a pretty site and a very upbeat attitude! Congratulations on your fame! You have a very nice blog and I hope you gain some well-deserved followers. You are such a strong woman. God bless and thank you for sharing your lessons in life! Happy very belated SITS day, playing catch up from last week :) Following you now on GFC, have a great week!